As a family we've been on many caravan holidays so are aware of the needs this type of holiday creates. We have prepared a secure site with hard standing and CCTV monitoring, which is reasonably sheltered and with good access. We also have a commercial pressure washer and vacuum cleaner which can be used for a small donation towards local charities. We have taken out extra caravan storage insurance with the N.F.U. but also ask that all vans stored should have their own insurance cover. 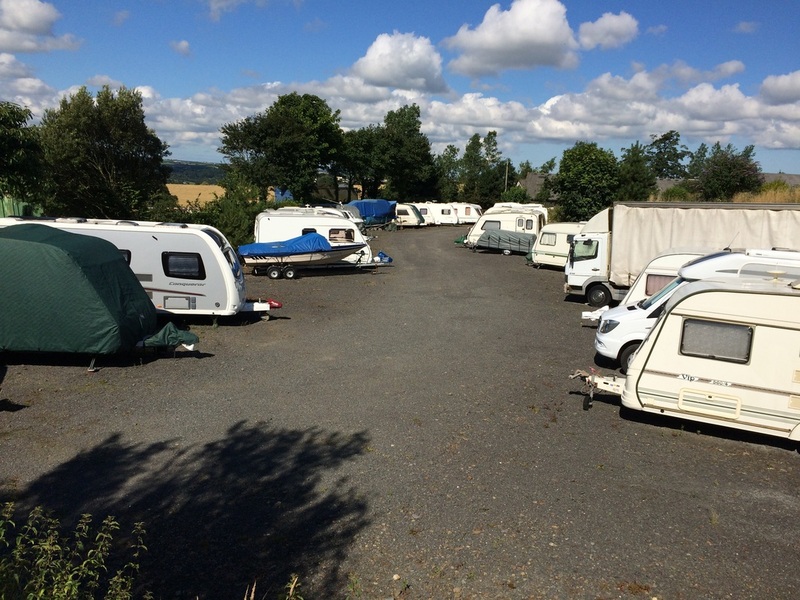 Charges may vary depending on the size of caravan, so please give Glenn a call on his mobile 07971 251361 / landline 01805 623029 or email to discuss rates and for any further assistance.